Tucker is a study in symmetry with clear geometric lines and proportions reinforced throughout its cast aluminum construction. 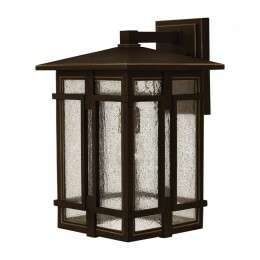 The sturdy Oil Rubbed Bronze finish and clear seedy glass inspire a rustic lodge aesthetic. 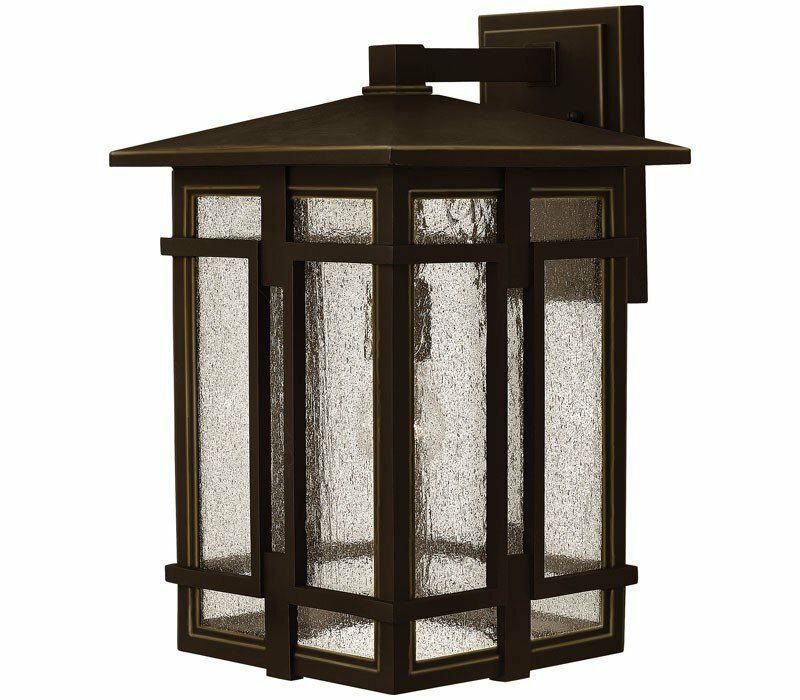 The Hinkley 1965OZ Tucker collection Outdoor Wall Lighting in Oil Rubbed Bronze uses Incandescent light output. This item is 18"H x 11"W x 12.25"D. The wattage is 100. The Hinkley 1965OZ requires 1 bulb (not included). Additional Information: Shade-Clear Seedy Glass.